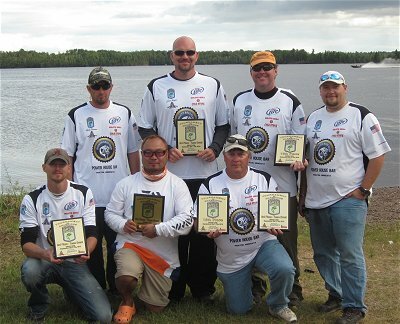 The 2012 MN Bass Fed Tournament of Champions had us hosting it on Island Lake Reservior, Duluth, MN. Check out our new club jerseys, thanks to our many sponsors for all the help. We finally got into some plaques, with all the great anglers fishing we were glad. But it's just a start now to try for more next year. Front (left to right): Lee Dueland, Shark Kishida, Doug Pirila. Back: Andy Swenson, Jason Wefel, Jeff Wefel, Steve Johnson. Here's our official 2017 Weekend Series Schedule. Lakes and dates picked, now to put them together. All the voting to pick lake combinations and dates for this year are in. Now we need to set the schedule. Our members will be voting to match them up this week, then we will list the schedule. Remember we meet Thursday at 7:00 pm, Powerhouse in Proctor. FREE FOOD, DRINK DEALS, DRAWINGS..
We will be watching the Bassmasters Classic, Sunday, March 26th, until the Super Bowl of fishing is done and winner announced, 4:00-5:00pm. Followed by a short program at 6:00pm. March 26th at the Powerhouse Bar, Proctor. 2016 Duluth Bass Club Standings are posted. Congrats to our Champions, Mike Lebsack and Doug Pirila. Another great year of fishing is done, our party is coming up March 26th at the Powerhouse Bar, Proctor, MN. Overall Duluth Bass Club Champions: 1st Mike Lebsack,2nd Doug Pirila and 3rd Darin Geiger. DBC Weekend Series: 1st Doug Pirila & Mike Lebsack,2nd Darin Geiger, and 3rd Kenny Schofield. DBC Evening Series: 1st Mike Lebsack,2nd Doug Pirila and 3rd Lee Dueland. Remember everyone is welcome to join us. We meet the first Thursday of every month at the Powerhouse Bar in Proctor. We hope to see you there. The official 2016 Schedule is now online, here and on our facebook page. We hope you join and come out fishing with us. Evening Series Schedule is posted. Mark your calendars and come out and fish with us. 2015 Weekend Schedule is set. We will be watching the Bassmasters Classic, Sunday, Feb. 22nd, until the Super Bowl of fishing is done and winner announced, 4:00-5:00pm. Followed by a short program with Jason Manning from KQDS as emcee at 6:00pm. Feb. 22nd at the Powerhouse Bar, Proctor. Well the 2014 Minnesota BASS Nation Tournament of Champs is done and we did well in a very tough and contested tournament. With all the fishing pressure put on Lake Vermilion bass in the last 3-4 weeks, the bags were much smaller than normal. Our Team of Doug Pirila, Mike Lebsack, Shark Kishida and Jeff Wefel also took 7th out of 27 teams from around the state. Good stuff. Now we have one evening series event to go, then we start our monthly meetings the first Thursday in October, 7:00 pm at the Powerhouse Bar in Proctor. You are all welcome to join us. We are also planning our awards to be done at the Powerhouse, on the final day of the Bass Masters Classic. It will be a blast, we will post the details as we get them finalized. Awesome last Weekend Series Event this year. We got lucky and had great weather, a challenging bite, great people fishing and great bags. First THANKS to everyone for doing a great job on their boats and trailers, the members from the Lake Association that inspected us were very pleased to see that we take such good care of our equipment. GREAT JOB. Another great day. A bit windy, but still people put up the fish. Great job. Looks like the brown beat the green again. Thanks everyone for making it a great day. Great weather and a great time with everyone. Thanks for coming out. Congrats to Johnston and Rick for the win. Great job. More wind and plenty of rain too, brought the smallies out to play. Great job on all the brownies..
Windy and cloudy made fishing more challenging, but again everyone got fish. Well the year got off to a big start, lots of smallies and great bags too. Good job guys. All our events are now updated on our 2014 Events page. Please mark your calendars and sign up. Also our April 3rd Meeting is the last chance to join the B.A.S.S. and fish for a chance to get to the Tournament of Champions this year on Lake Vermilion, Sept 3-5. Please come to that meeting with your Bassmaster number and your $80 for the B.A.S.S. fees (state and national rosters). Thanks everyone, it's been a great year. Lots of fishing, great people, great lakes, and good fish. We'll get more details for each event out here soon, but all statistics are now updated so check out the Duluth Bass Club standings and our B.A.S.S. standings as well. See ya at Pokegama/Cross for the last Weekend event and in October for the last Thursday event. The weather was finally nice, but the fishing tough. Lots of boat issues and entertainment tonight. 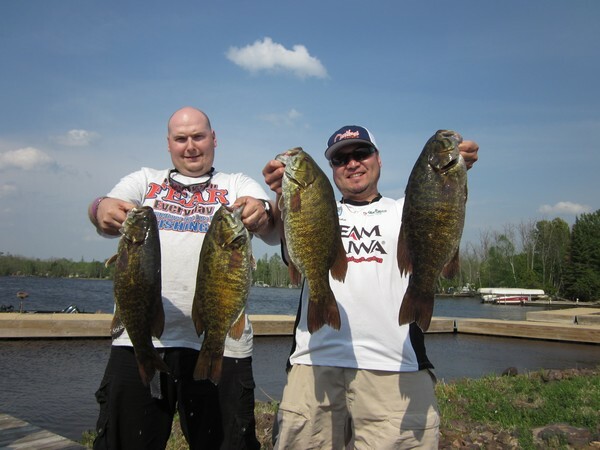 Congrats to Doug Pirila and Matt Amos for taking first with five nice smallies. Thanks and see you on Fish lake in 3 weeks. The storms moved past just before we got out. Still a bit of rain and some winds, but it turned out to be a great night. Congrats to Sharaku Kishida for another great showing taking first with the tie breaker. Thanks and see you on the East end in 3 weeks. Thanks everyone for a great event. Congrats to Mike and Joe, they put together the winning bag. The winds were strong and fishing slow, so everyone did a great job. See ya in June at Pokegama Lake, Grand Rapids. Remember everyone that wants to fish B.A.S.S. and have a chance to fish the TOC this year, they need to pay in by April. ALL Details are in our rules. CONTACT DOUG AND JOIN TODAY!!! Please check out our Tournament Rules, Club By Laws, Tournament Schedules, etc. they were all updated and are set to go. Congratulations to our new Competition Committee of Roger Olson, Matt Amos, and Steve Johnson. Steve is also our Secretary/Treasurer and sponsor - LFR Jigs. So he's really in and carrying his share. Thanks.. Doug was voted President, thanks. The schedules were reviewed, had only a couple changes and were voted in, so check them out. Hey folks, we need all Duluth BASS Club anglers to register at www.DuluthBass.org so we can get the angler profiles together. Each person will be responsible for their own profile. We will setup the basic page and you can login to make changes to it. Remember we meet the first Wednesday of every month at the Powerhouse Bar in Proctor at 6:30pm. So bring anyone interested with you. All meetings start at 7:00 pm, unless noted, at the Powerhouse Bar in Proctor, MN. All general membership meetings start at noon. Board at 8:00 am. April 16, 2015 - Medina Ballroom. It's simple to join us, you can simply contact us, pay your club dues and fish with us. If you want a chance to fish official Bassmasters and B.A.S.S. qualifying events, all you need is to be a member of Bassmasters, the Minnesota Bass Federation Nation, the B.A.S.S. Fed Nation Roster, and our club. There are three ways to qualify for the TOC each year. We qualify for a set number of openings. So a certain number of teams at the top of our standings (best 5 of 6 events) from the prior year can qualify. Then again if you didn't make it the previous year, you and all new members compete for the remaining openings by being at the top after the first three events of the current year. Plus one more member gets to compete in the Alternates Tournament for a final opportunity to fish the TOC, as a non-boater. We are getting ready for next year, now. Now to get the meetings setup, the members signed up, official club shirts and sponsors arranged, and the coming year will be even better. We hope that any serious bass anglers consider joining us for 2012 and a shot at the Tournament of Champions on Island Lake in Duluth Minnesota next September. We'ld like you to join our BASS team. Contact us today to get in on the fun Kayak fishing next year. NO ENTRY FEES, JUST SHOW AND GO FISHING. All pots optional. Fishing small lakes with big fish and low boater traffic. There are lots of reasons to join our Kayak Fishing Club. Join for the fun, fishing, prizes, to make new friends, or just a good excuse to get out fishing and kayaking more. 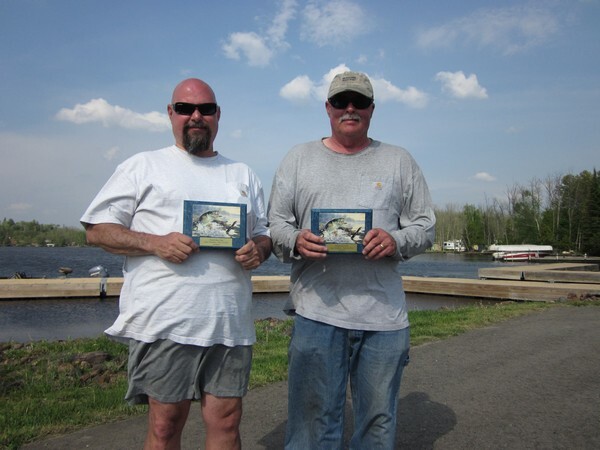 You are always a WINNER with Duluth Kayak Fishing Club.